Alexandria Moulding Oak Parclose 3/8 In. x 1-5/8 In. 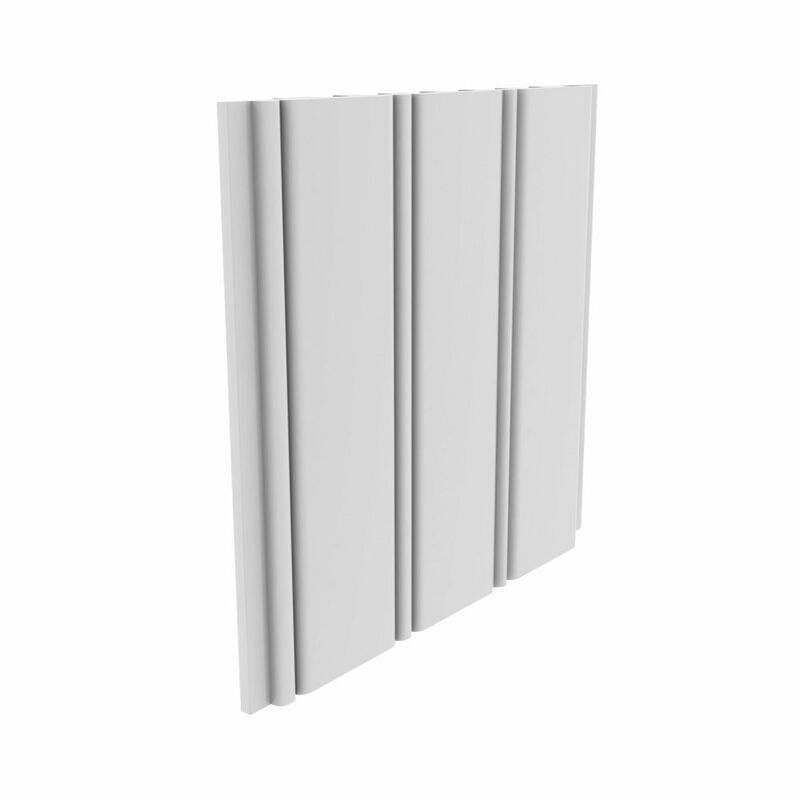 x 8 Ft.
Planking Pvc White 3/8 Inch X 5-5/32 Inchx8 Feet A lasting solution for windows, doors and trim. Royal Mouldings Exterior products are low maintenance and provide a beautiful, durable option to wood. Made of 100%Cellular PVC with a solid outer skin and a strong durable core. Royal exterior mouldings come with a factory applied Readi Finish. One of the strongest features of Cellular PVC is energy efficiency. The material insulates 70% better than wood and 1600% better than aluminum. Planking Pvc White 3/8 Inch X 5-5/32 Inchx8 Feet is rated 4.5 out of 5 by 8. Rated 5 out of 5 by Agusto1999 from I used this for a bathroom ceiling..covering up popcorn and... I used this for a bathroom ceiling..covering up popcorn and prior roof leak mess. So happy with the results. Rated 3 out of 5 by HomeDepotCustomer from The product itself is wonderful but I needed 42 panels... The product itself is wonderful but I needed 42 panels for a porch ceiling and had to go to 10 different stores to get all of it. One store had 7, one store had 3, etc. There should be enough in inventory for at least one ceiling! Rated 5 out of 5 by HDRider from This material worked great for my basement bathroom ceiling. I purchased hidden tongue and groove... This material worked great for my basement bathroom ceiling. I purchased hidden tongue and groove fasteners and cabinet screws to put it up to the joist. I used PVC chair rail with with drywall screws and white caps to frame the edge. It looks great, and it will be easily removed if I have to access the piping above. Just a matter of pulling some screws. It could be fastened with nails in the mounting tongue, but I opted to make it reusable if I ever have to remove it. Material is semi-flexable enough to bend into tight spaces, yet has ribs on the back to help keep it from sagging. I'm sure that it will not flex on a wall since it has stayed flat on my ceiling with only one fastener every 16 inches. Also cleans easy with a Mr. Clean eraser. Rated 4 out of 5 by Chas from Veranda Beadboard Plank Moulding Ordered 64 pcs via internet as no store had this quantity. They came boxed delivered by UPS and were in much better shape than the store stock. The ends did need to be trimmed square, a task for me that should not have been needed and required extra time and effort. All pcs went up OK. Rated 4 out of 5 by Barbie from molding..I thought it was chair rail!! BUT I am going to put it to use anyways!! This will work great in our bathroom. It is PVC so easy to clean..especially next to the toilet where it will be installed as wainscoating.